We left the Ojibwas for a Chippewa casino in the little town called Christmas. If you’re good at Michigan geography, Munising is the nearest ‘real’ town, about four miles away. 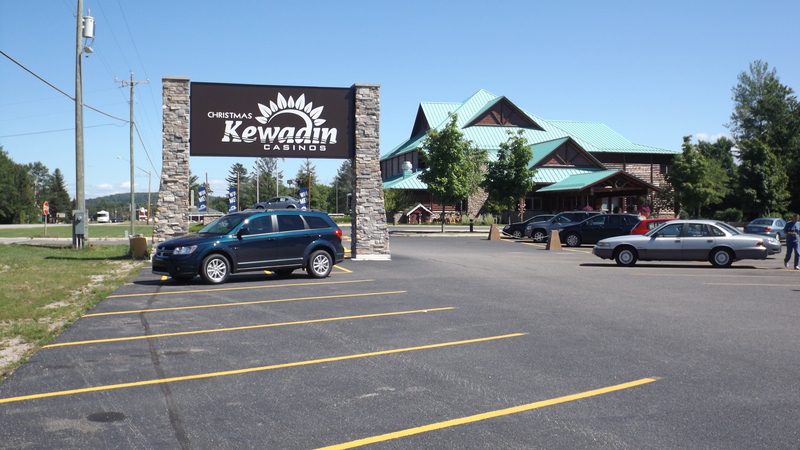 The Chippewas operate casinos in five UP locations, this being the newest and smallest, all under their tribal name, Kewadin. The site is free and includes electricity but has no water or dump station. And worse, they wouldn’t give us money or even gambling chips. But free is good. Kewadin Christmas Casino is a nicer facility than the Ojibwa, but it seems to do much less business. For example, by ten most mornings the O has 30 to 40 cars in the lot. The Kewadin has 10 to 15. Except for Wednesdays when business is really good at Kewadin beginning in mid-morning. The handicapped parking fills up first, and after a while you’ll notice that their customers are mostly old folks. I’m 64 and not old – these kids have white hair or none, many need canes, a few come with walkers or wheelchairs, and we even saw a couple of oxygen bottles in use. Why is gambling so popular with the oldsters? Why do they like the slots so much when even the world’s most generous machine will take your money much faster than blackjack or roulette? I don’t know. I do have a theory on why so many show up on Wednesdays: that’s the day Social Security checks are direct-deposited. Everybody gets paid on one of the first four Wednesdays of each month, and the time to gamble is when you have some money. They come, but they don’t stay long. 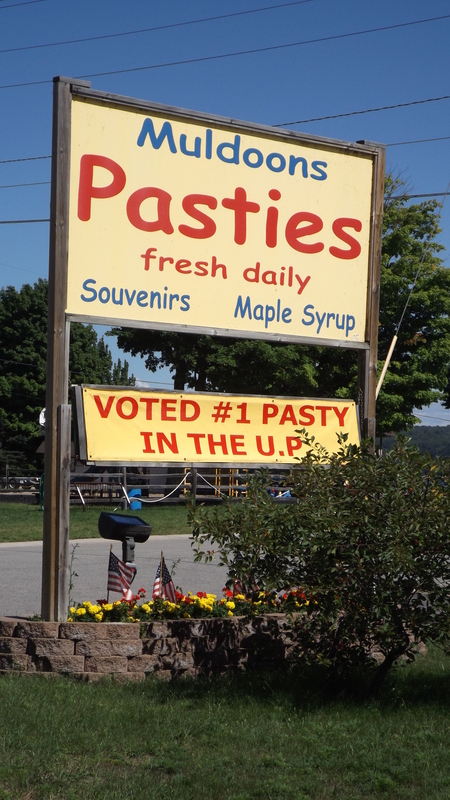 On a grocery trip to Munising we noticed a billboard offering Pasties. This is not that essential element of a stripper’s costume; it is more like a big baked meat and veggies pie, with the first syllable pronounced as in “past” and not “paste“. I had seen them in the freezers of several Upper Peninsula stores, and the curiosity was building. We bought two beefs at Muldoon’s and were offered gravy to go with them, although “ketchup is best”. On the way out there was a poster of a fellow with a huge pasty before him beside a six-pack. 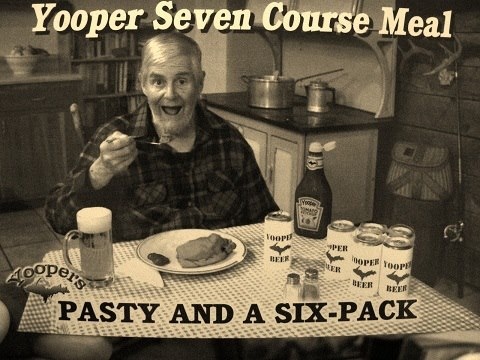 The caption: “Yooper Seven Course Meal”. 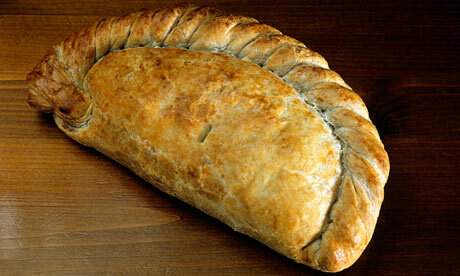 Pasties wouldn’t sell in Louisiana: they are far too bland and dry. And they are better with ketchup.